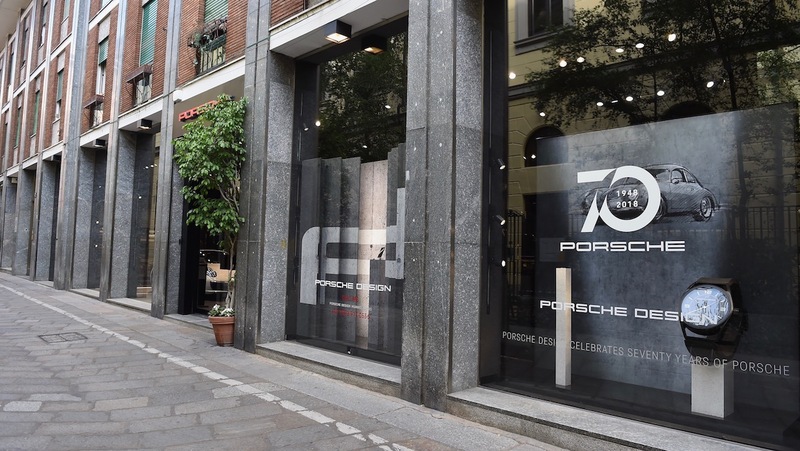 Customers can now test drive Porsche models and shop Porsche Design's selection of wares in the heart of Italy's fashion empire. 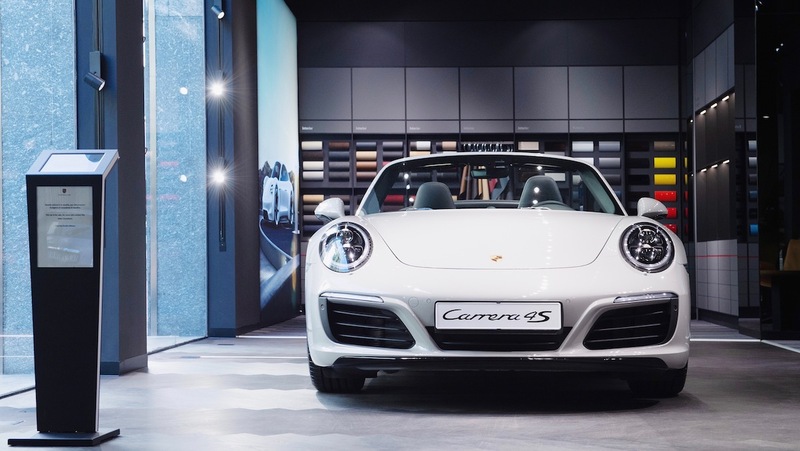 In an effort to improve its dealership experience, Porsche has been opening "Porsche Studios" across the globe that combine sales of its cars and Porsche Design accessories. On Thursday, the brand announced the grand opening of its fourth Porsche Studio in Milan, the heart of the fashion industry. The Milan location joins Porsche's other Studios in Beirut, China, and the German island of Sylt. 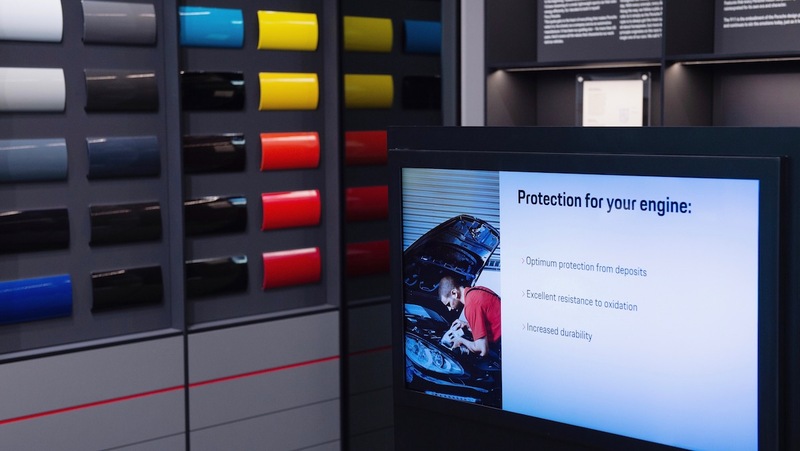 Here customers can configure a Porsche model of their choice, schedule a test drive, and even buy a car if they're feeling extra spend-y. The showroom is large enough to accommodate one exhibition vehicle at all times. 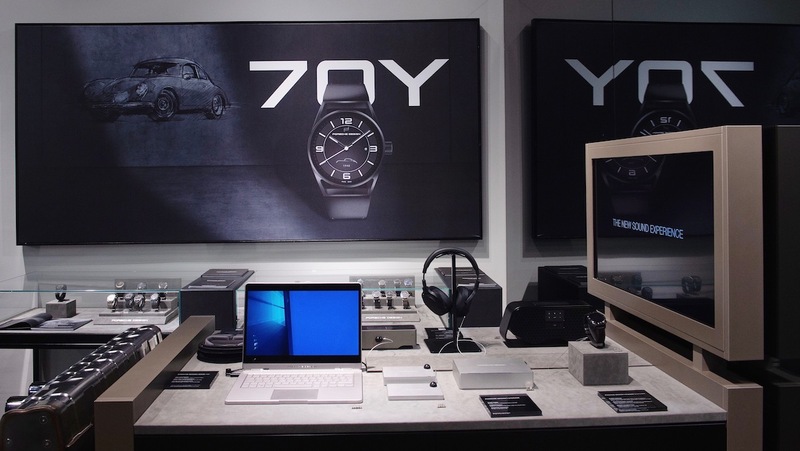 Visitors can also browse Porsche Design's entire lineup of products, which includes everything from clothing and luggage to Porsche-branded electronics. Porsche Studio's collection of accessories is highlighted by the new 1919 Datetimer 70Y Porsche Sports Car Limited Edition watch, created as an homage to the Porsche 356 for the company's 70th anniversary. 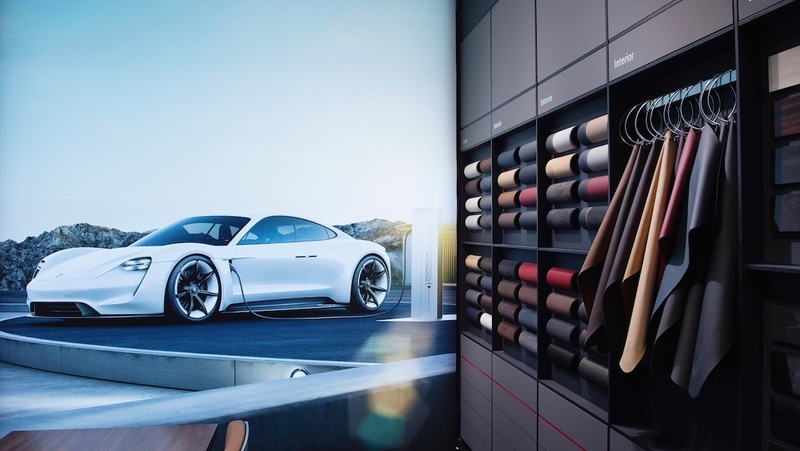 “At Porsche Studio Milan, we are giving our customers access to the complete Porsche Design portfolio," said Jans Becker, CEO of Porsche Design. "With our highly attractive range of accessories presented alongside the exhibition vehicle, we are offering a special, lifestyle-oriented experience for customers and fans of the two brands." 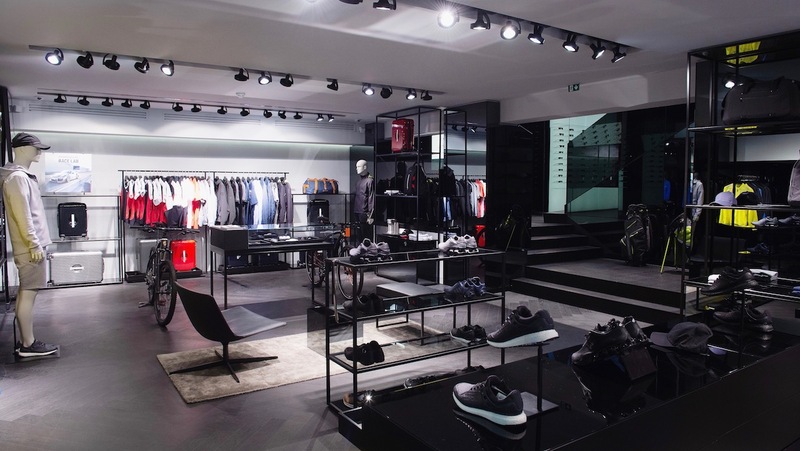 The 4,300 square-foot facility is strategically located in the “Via della Spiga" at the heart of Milan and the central hub for fashion and design. 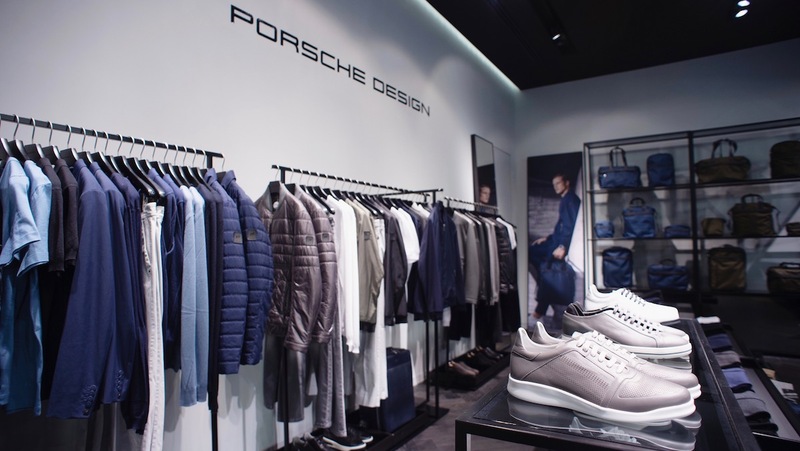 “Just like New York, Paris and London, Milan is a fashion metropolis where design trends are set," explained Detlev von Platen, executive board member who oversees sales and marketing at Porsche. 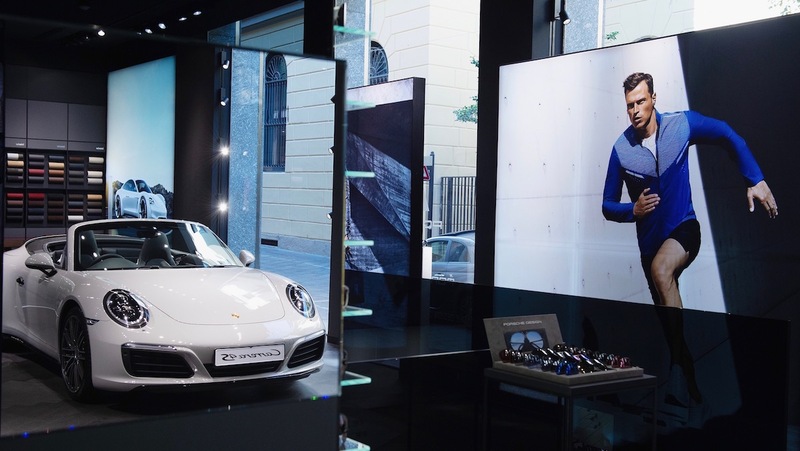 "Presenting Porsche and Porsche Design at the heart of the city illustrates the close collaboration between the two brands and gives them access to a lifestyle-oriented target group." 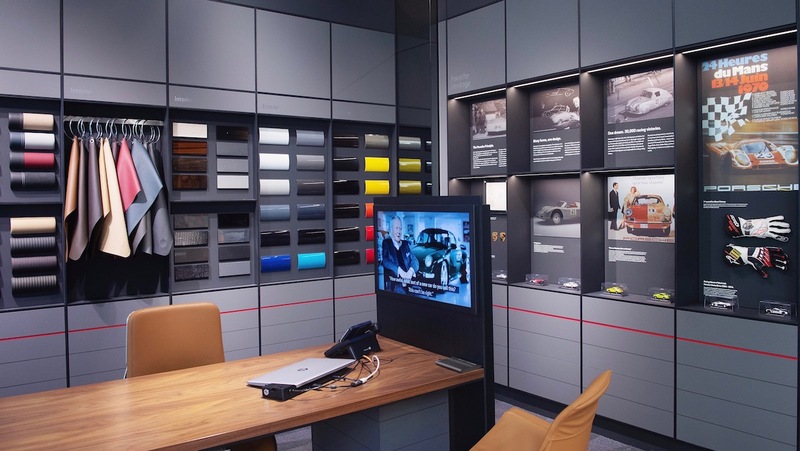 Below is a gallery of the new Porsche Showroom Milan. Might want to lock up your wallet and throw away the key before you look at it, though. Following the "Sound Bar" that looks like a GT3 muffler, this is their second exhaust-inspired audio device. At $2,495, it's premium portable computing with Porsche good looks, but it comes with a Porsche price. Lamborghini showed off its fashion line at an event in Italy and its iconic supercars made an appearance. A motorsport-themed collection rounded off the longstanding partnership between the designer and the model.